It’s a bit of a head-scratcher… or maybe a beard-stroker. Anyhow, the concept behind Kirby is a great one. Dude can fly, can inhale just about anything, and absorb the abilities of his enemies. 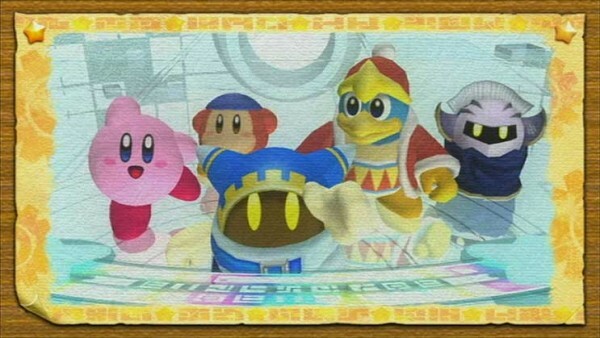 Kirby’s got a pedigree of HAL development behind him, along with some cameos in the wildly popular Smash Bros series, giving the puffball some more street cred. Couple that with the unique control capabilities of the Wii and you’ve got a formula for success. 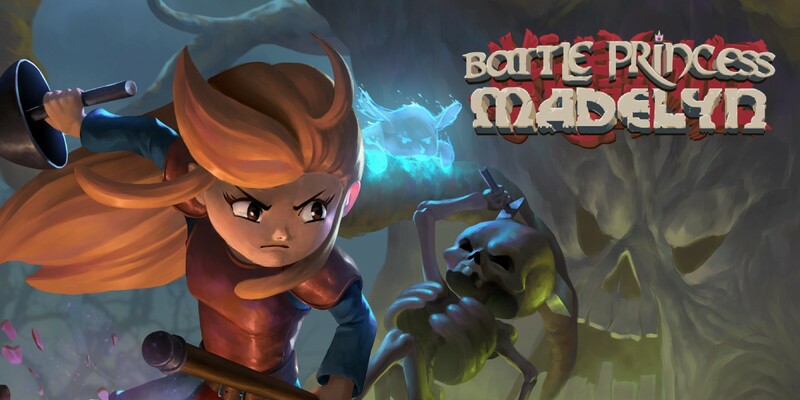 Unfortunately, the game has more in common with its 1990’s roots than what we see in platforming today, and the lack of innovation is what sets this game back. 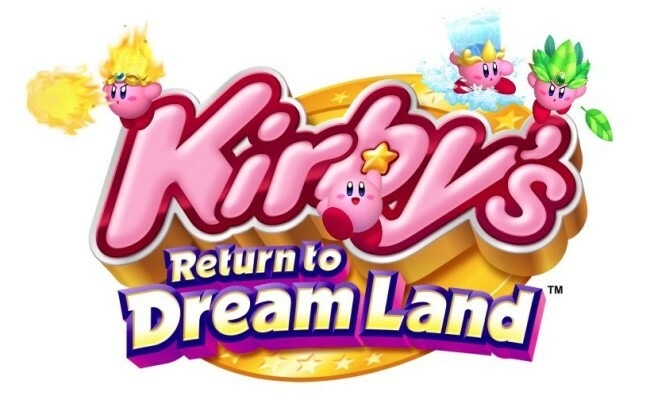 Kirby’s return to dreamland is a platfomer, and while platforming is not as popular as it used to be, that doesn’t make it an excuse. 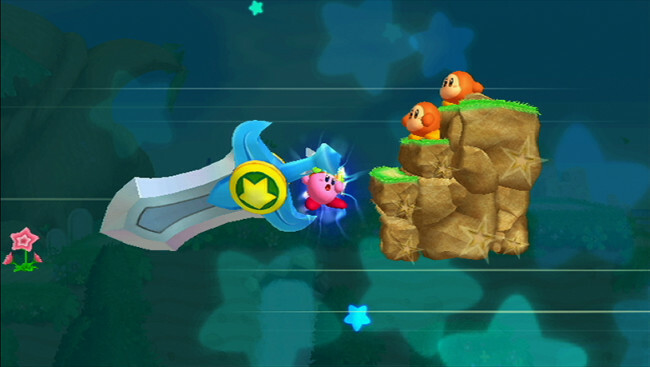 Many of the same gameplay elements from Kirby’s Adventure are present: inhaling, fighting, etc. 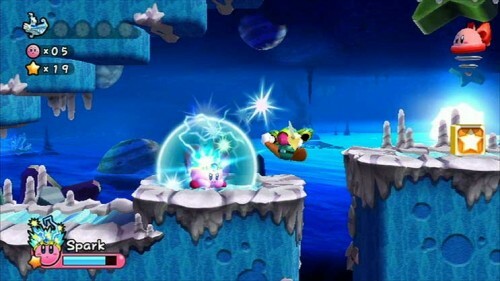 with the inclusion of “Super Abilities.” Super abilities are charged up variants of certain normal abilities that give Kirby some comical super strength. A giant sword, for example, covers the entire screen when swung, and a giant mallet smashes enemies to bits. This is really the highlight of gameplay here, and it just doesn’t seem like enough. There are a number of levels divided into worlds. Within each level there are a number of “parts” that need to be found, similar to collecting Stars in the Mario series, but not as difficult or interesting. Each world concludes with a boss fight that secures another piece of a space ship that Kirby is helping to re-assemble (more on that in a bit). And, for the most part, it is rinse-and-repeat. I played through 5 of the 7 worlds in the game without any significant increase in challenge before losing interest entirely. On a final note, the game utilizes a completely old-school control style with horizontal remote. You can shake the remote for a super-inhale, but you can also mash the d-pad for the same effect. 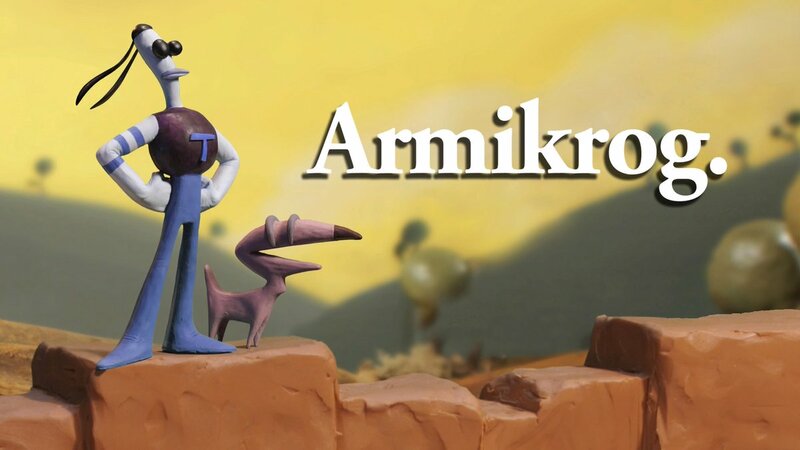 What’s the deal with platformer narrative anyhow? I can’t tell you how many Nintendo games begin with the pages of a book being turned, or stories told through sketches or animated paintings with voices that sound like the garbled speech of Animal Crossing or Star Fox characters. Anyhow, a spaceship crashes, the parts are scattered, Kirby and his friends agree to collect the parts to repair the ship, you get the idea. "Help me fix my ship." "Ok, we will help you fix your ship." I understand that the Wii is not as fully-featured as the 360 or PS3 but this game doesn’t even support full screen, pre-rendered video. In this day and age, I think even these characters need to be voiced in some way too, whether it’s understandable speech or not. I agree with fellow NA’er Ash that characters need to be voiced now, and there’s really no excuse not to do so. Voices breath life into characters, even if this is a game intended for younger players, we have to expect more. The art style of the characters are what you’ve come to expect from Nintendo games, and while that’s not necessarily a bad thing, it’s also not awe-inspiring either. If you need a point of reference I would refer you to Rayman Origins, whose throwback gameplay is enhanced through some amazing art direction and musical backdrops. And really, that’s the wide valley that is cast between this sense of “current generation” and Kirby’s Return to Dreamland. 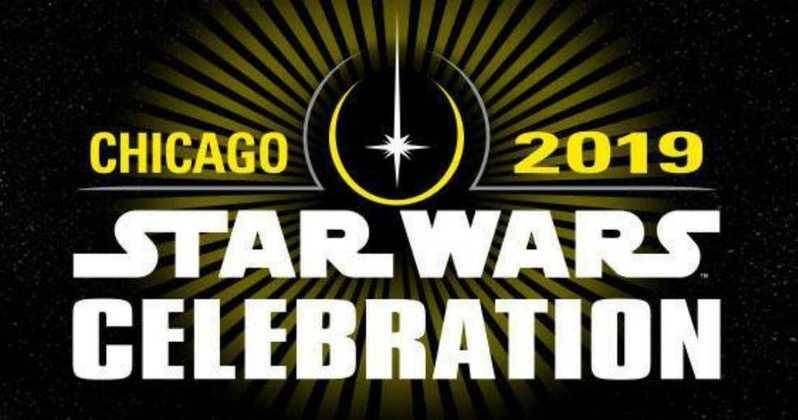 There are a few other extra’s within the game, but disappointing nonetheless. There is a challenge arena for each of Kirby’s abilities, as well as two completely out of place minigames. Two pointer based shooting games are included for some bizzare reason that add nothing to the overall package. Finally, there is a 4-player multiplayer component. Honestly, I didn’t try it, and I don’t see how it would help. The feature definitely was not advertised in any of the game’s level designs, as it was in new Super Mario Bros. And as much of a hinderance multiplayer turned into in SMB, I don’t know that it would be any better here. The short answer, no. Fundamentally, you’d get as much enjoyment out of this game as you would downloading the NES version on the virtual console. And maybe that’s the point, to get a new generation of gamer’s hooked on Kirby. The problem is that the same concept found a better execution in New Super Mario Bros , and a completely amazing styling in Rayman Origins. While this game would be great fun for a newer gamer, or someone not familiar with Kirby’s platformers, there’s not much here to keep the average or avid gamer interested.